We were approached by a local Building Contractor regarding fitting windows into a new house being built for private clients. 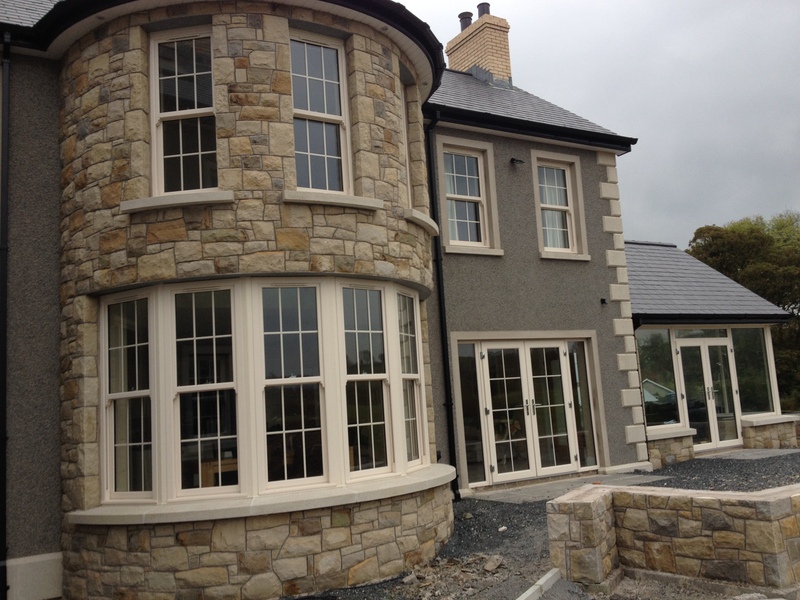 In this house we supplied and fitted PVC sliding sash windows – these were installed throughout the house and also into a curved section of stonework. These windows can be supplied in a range of colours – and can also be dual colour ( different colour inside and out). We installed composite doors to the front and back. These doors provide extra security due to the locking mechanism and can be supplied in a range of colours. 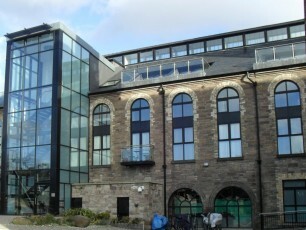 We also supplied and fitted PVC frames and glass. 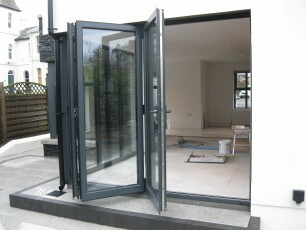 These frames provide a linkway between the front and back of the house and allow natural light to enter the premises.